Smartphone form factors haven't been evolving enough for me recently, and I'd like to see more manufacturers pushing the envelope. Instead of getting the foldable Galaxy X smartphone of our wildest dreams, for example, we're getting glossy bezel-free rectangles and notches from our favorite manufacturers, and that just isn't awe inspiring. That's why I was so excited when I first heard about the ZTE Axon M's arrival. But what if phones could have not one, not two, but three displays? The idea of a dual screen phone isn't new, but the prospect of it hitting the market last year in the form of the ZTE Axon M really piqued my interest. ZTE executed the concept well, and even if the device ended up being a bit bulky, it has the performance and cool factor of a device I wouldn't be ashamed to use every day. While a smartphone that folds isn't exactly sci-fi territory, it's unique, and that's something to be excited about if you want big leaps in smartphone innovation. The more displays the better. Zack Nelson, better known as the YouTuber JerryRigEverything, just posted one of his famous teardowns of the ZTE Axon M. In this video, he poses a question: How many screens can smartphones have? After taking the phone apart piece-by-piece, he shows just how easy it could be to add a third screen to this device. Imagine how much you could do with two screens. Now what about three? The possibilities are almost endless, and I can't even imagine all the use cases–but I know my tablet is shaking in its boots right now. 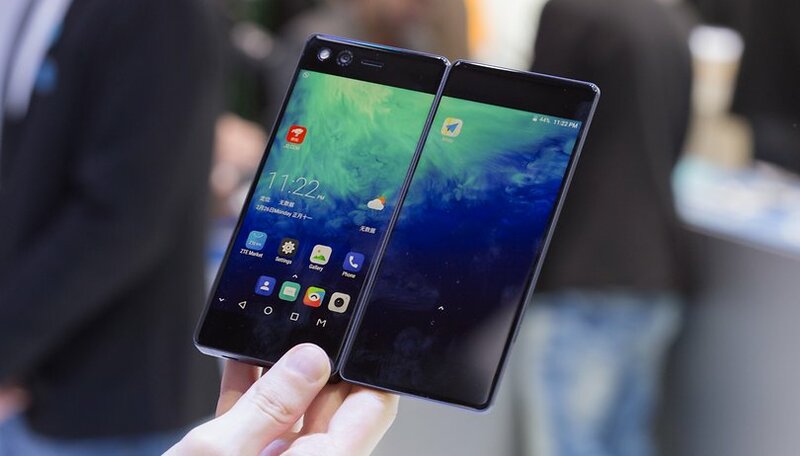 If the bulk could be minimized, I would love to have a triple screen smartphone that folds on two sides. Where's my triple-screen phone, ZTE? I'm counting on you! No interest unless one screen is e-ink. There was a Russian OEM Yotaphone that built a 5" Android K front LCD, rear e-ink some years ago, but I'd want an 8" tablet for comfortable outdoors reading.